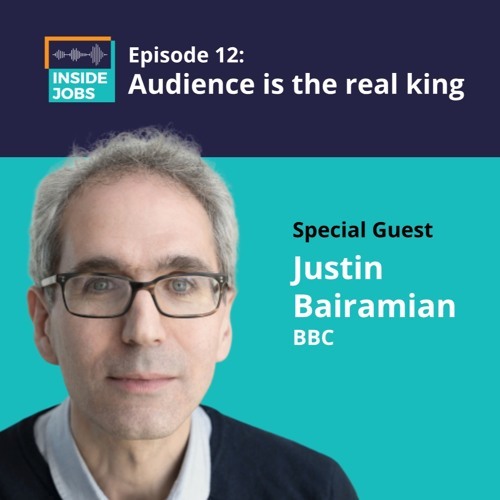 In this episode of Inside Jobs, Justin Bairamian (https://www.linkedin.com/in/justin-bairamian-060a2b1b/), Director at BBC Creative, takes us along his creative journey including stints at Saatchi, WCRS, Leagas Delaney and ultimately BBC, where he has played assorted roles. From the beginning, Justin was interested in marketing and advertising. At BBC, he worked to set-up and develop their in-house creative agency after the broadcaster parted ways with its external agencies. He also talks about the audience-first approach that drives the world’s oldest national broadcasting organization. —— This podcast is supported by the In-House Agency Forum (www.ihaforum.org) and hosted by Robert Berkeley (www.linkedin.com/in/rberkeley/) from Express KCS (www.expresskcs.com).